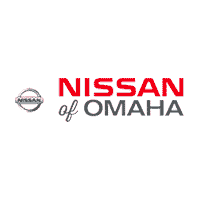 Often enough, a quick fix to your Nissan car, truck, SUV, or van on your end can be a snap between more technical service, maintenance, and repair visits to our Omaha, NE Nissan Service Center. And sometimes, you’re just looking for a DIY project to improve your ride that may not require either a visit to our Schedule Service tool or to our 17410 Burt Street showroom to take advantage of a service special. Either way, our Nissan of Omaha Parts Center can help you find that component you’ve long sought, with the acumen of a highly trained professional staff to make it happen at the sales tag you can afford. Our convenient Parts Request form makes it a matter of course. Just fill in the information you have available, whether it’s your vehicle’s make, model, model year and VIN or a part number you have on hand from another source, along with your contact information, and we’ll get to work locating the correct component for you post haste. We know that you’ll be looking for a competitive deal on a Nissan or other part, too, so you’re welcome to take a look at our Parts Specials page. There, you’ll find periodically changing offerings, so be sure to check back frequently.